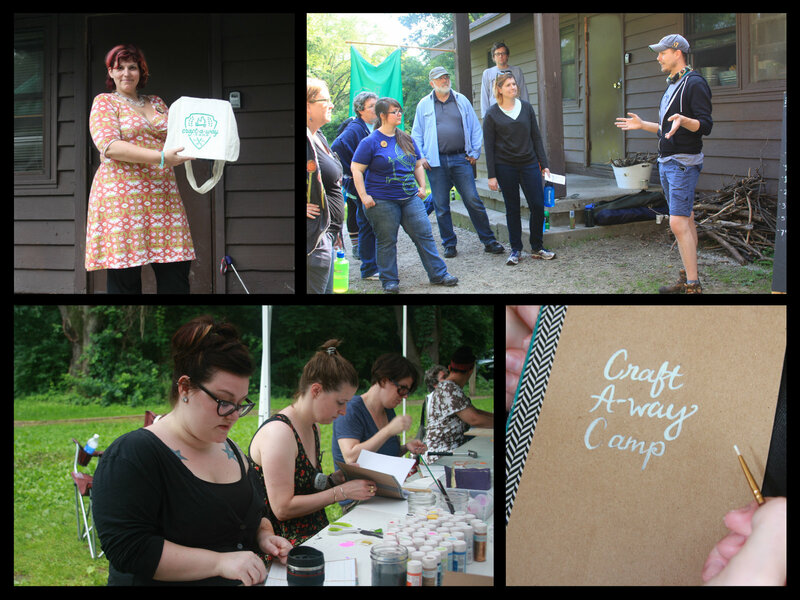 Hosting Craft-A-Way Camp, and monthly creative workshops. It’s a return to the idyllic summers of the past. To the days when we could give our full attention to crafts and friends. But truth be told, we were a little nervous about returning to Craft-A-Way Camp for a second year. The first year had been so beautiful and dreamlike, it seemed too much to hope that the second could match it. 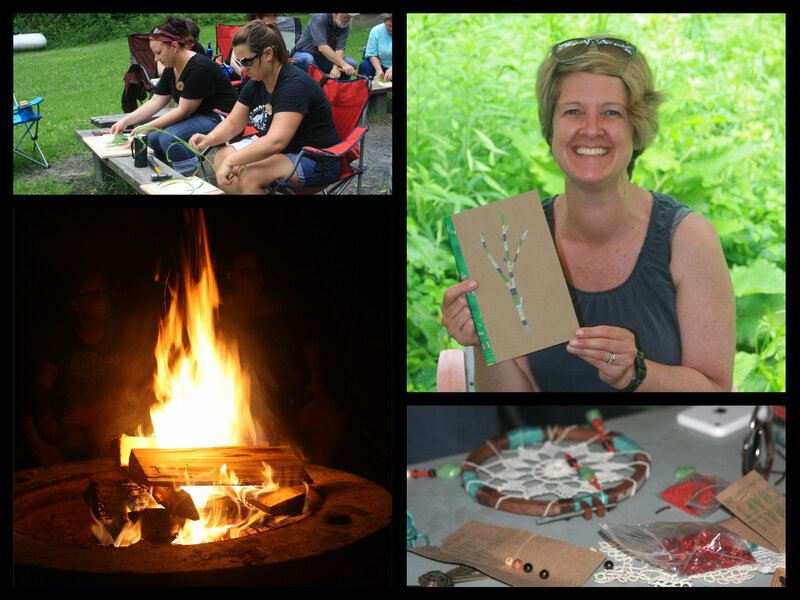 As a wonderful group gathered, however, and began to share crafts and laughter, it immediately became clear that we had nothing to worry about. 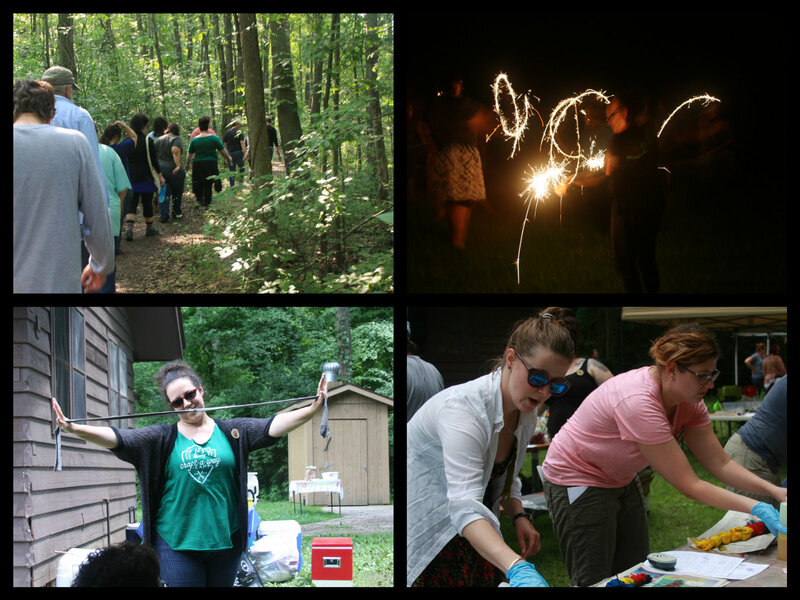 Craft-A-Way Camp is not just a lovely memory, but a tradition we can return to every summer. 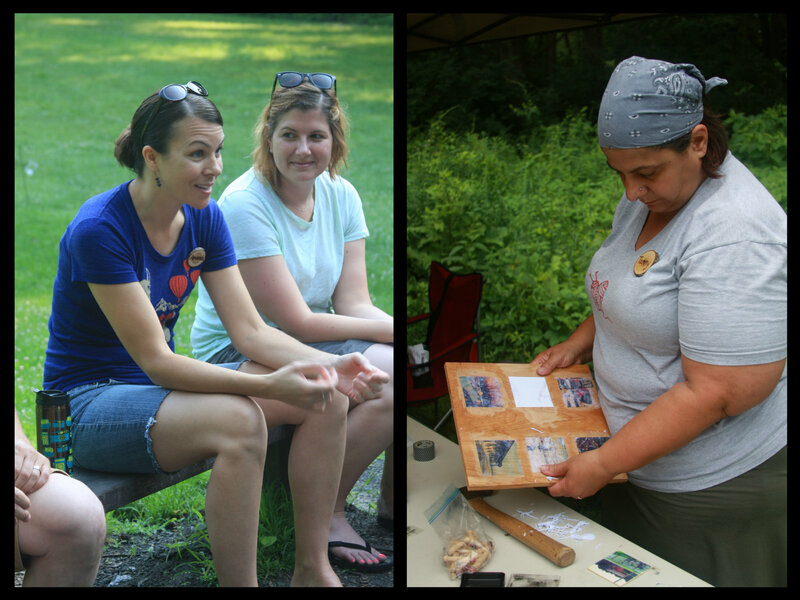 Like the woods of Waterloo Recreation Area, Craft-A-Way Camp is always changing, yet always reassuringly familiar. We introduced some new innovations this year. 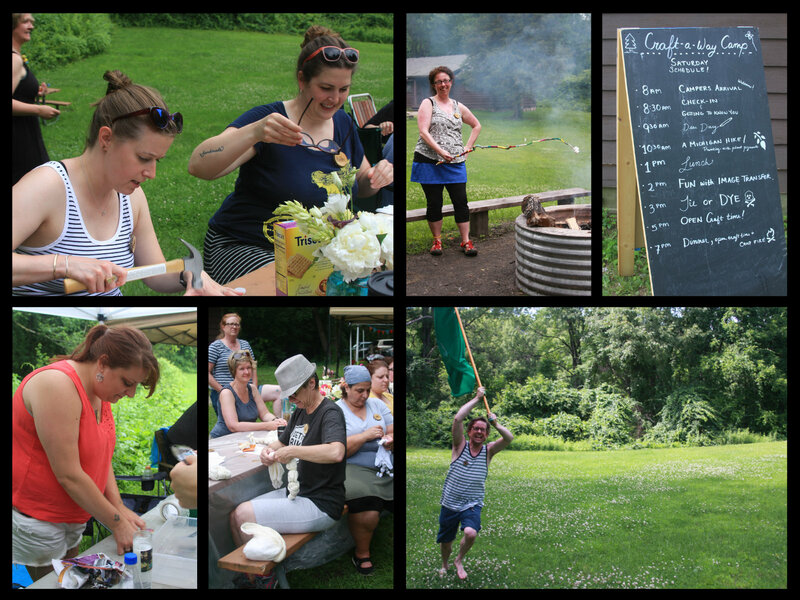 More time was spent getting to know each other, before we plunged into the whirl of crafting. Amanda Schott led us in a hilarious series of camp chants. A second bunkhouse was added, so we’d have room to sleep more comfortably. But we also brought back many of our favorite customs from last year. Every free moment was filled by painting and wrapping sticks. One cabin wall was shadowed by a massive wall of coolers. The campfire was a place for roasting vegan marshmallows, and singing ’90s R&B hits. There was a great moment in our dreamcatcher workshop, when we all realized together that there was no reason to hurry or watch the clock. Crafts were the closest thing we had to a responsibility, so we were free to settle into our work, and forget about the time. Fortunately, our instructors brought a great selection of projects for us to explore. Val Willer introduced us to another craft addiction: tearing and weaving old t-shirts into new jewelry and accessories. Like last year’s wrapped and painted sticks, it’s clear that this will be an ongoing project at future Craft-A-Way Camps. Special thanks are due to Karen LePage. When instructor Marcy Davy was called away by a family emergency, Karen stepped in and taught her screen printing class. Our beautifully printed Craft-A-Way tote bags are a testimony to her skills as both a crafter and a teacher. And as if that weren’t enough, Karen also taught her own class, sharing two exciting image transfer techniques! 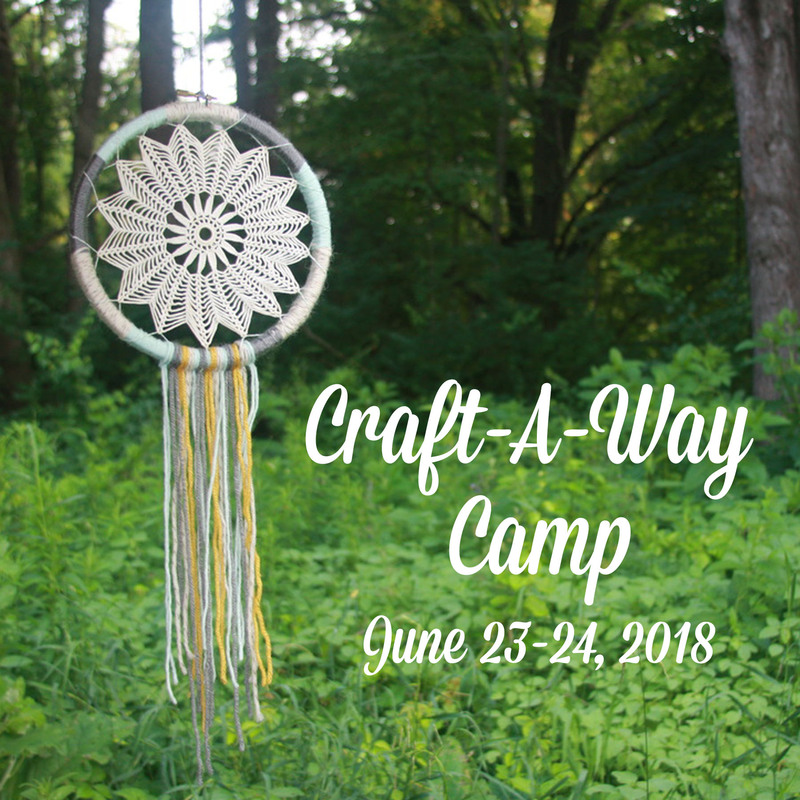 The woods and the crafts are always amazing, but Craft-A-Way Camp is even more about the friends that gather, and the bonds that form between them. This year, we welcomed back some old friends, and we got to meet some new ones. Campers arrived not only from Michigan, but from Chicago, and six Ohio cities. One couple even travelled all the way from Reno, Nevada! Away from the cares of home, and united by our love of craft, we soon formed a close little community. That shouldn’t be such a rare experience, but in today’s world, it really is. So we’re grateful every time we get to be a part of it. We miss the bright stars and the fresh breeze. We miss the hours of uninterrupted crafting. Most of all, we miss our friends! 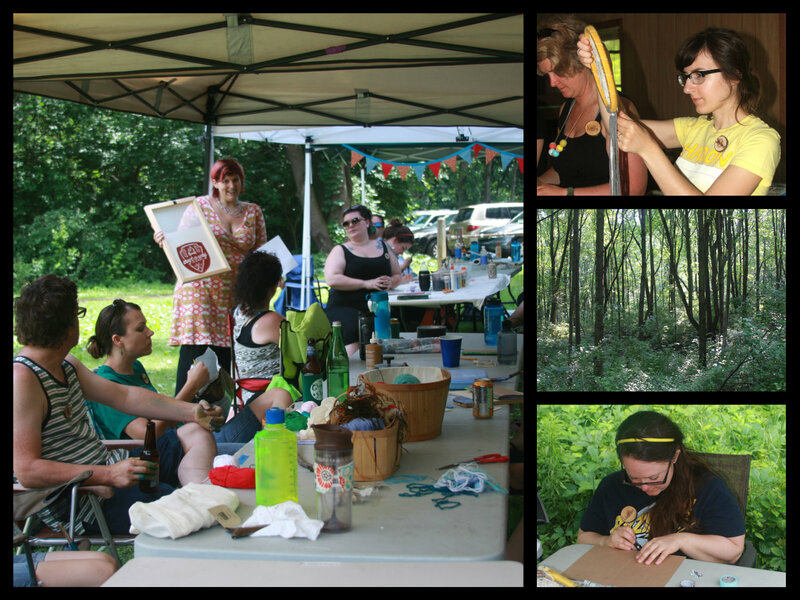 So we’re already making plans for next year’s Craft-A-Way Camp. And for a Winter Lodge where we can be reunited even sooner! Whether it’s your new adventure, or your familiar custom, we hope you’ll join us the next time we get together to craft. Please go to our Flickr page to see all the great photos from the weekend!